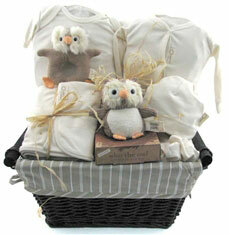 Organic Baby Baskets Now Available! At Glitter Gift Baskets we are always looking for new products and new trends that parents will love and cherish. We are always looking for that WOW factor in all our gifts. This is why we are proud to announce the launch of the new Organic Baby Baskets. This exclusive collection features Toys from Organic Farm Buddies. 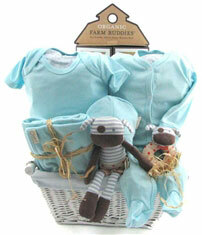 The Clothing in these baskets are made with 100% Organic that is milled in Canada. The clothing is also sewed right here in Canada.